The incredible surge in outsourcing prospect generation to franchise brokers has - literally - reshaped the sales programs of many franchise systems. Once branded by dastardly horror stories of the 1980s, today's brokers are reborn and repackaged as the "franchise sales consultants" of the 21st century. This isn't surprising! Networks of professional consultants with franchising experience have swooped onto the sales scene with extraordinary success, and now deliver an estimated 3,000-plus new franchise owners annually to highly appreciative franchise companies. Franchise UPDATE's 2007Annual Franchise Development Report reveals that 48 percent of the 132 franchisors surveyed use brokers, with 80 percent of those companies closing deals. This is the million-dollar question you have to answer. Whatever the outcome, you could make a critical mistake if you don't explore this growth opportunity. Whether you are a start-up company or veteran, a successful marriage with franchise brokers may accelerate your growth by 25 percent, 50 percent, or even more. Some franchisors hand over their development reins to broker networks that have been responsible for building their systems. Let's peel the onion to determine the pros and cons seasoned franchisors are experiencing with broker networks. This may help guide your decision-making if you are not using broker representation at this time. No upfront costs - This is a huge benefit, especially for the younger, bootstrapping franchise. This can reduce your sales payroll and direct advertising expenses. You have access to a network of seasoned franchise consultants who can immediately put your franchise program in front of pre-qualified franchise candidates throughout the U.S. Because of brokers, some attractive, well-run start-ups have enjoyed explosive franchise growth overnight without investing any advertising dollars to promote their concepts. "Found" buyers - Consultants bring you qualified owners you would have never gotten otherwise. Buyers you sell directly from your own marketing efforts have evaluated different concepts and selected you as the franchise they want. Buyers that brokers bring to you don't know what they want, seeking counsel to help them weed through the opportunity jungle of thousands of franchises. From the 1980s into the 2000s, I awarded franchises to broker candidates who never thought of considering our concept. Yes, third-party consultants are valuable in recruiting additional qualified prospects for franchise systems. This choice pool of buyers is working with broker networks who are recommending the franchisors participating in their programs. Qualified prospects - Your candidates have been pre-screened to fit your prospect profile: financial and operational requirements, skill sets, character traits, corporate culture, etc. They believe in the franchise model, are ready to start a business now, and understand they will have to follow a sales process to qualify for your franchise. Brokered franchisees I have sold became top producers receiving system-wide honors for their outstanding achievements. Free sales training - Some broker networks offer you on-site training to help ensure your mutual selling success. This is particularly beneficial for younger franchisors without a strong sales program in place. Their assistance helps you establish an effective relationship with the broker by seamlessly connecting your recruitment approaches for maximum sales results. Buyer insights - Your broker can provide vital information about a prospect that can make the difference in closing a new franchise. Third-party consultants are sounding boards for candidates, who share with them their impressions, concerns, and interests about your franchise. This additional awareness of your candidate's status certainly helps as you guide them through your qualification process. Service-driven concept advantage - Brokers are especially successful with lower investment, mobile, home-, and office-based franchises. Predominantly it's the under-$200,000 investments that cash in on consultant relationships. They are often easier package sales, less complicated, and pay greater commissions because of the lower start-up costs for the franchisor. Consequently, the most successful broker relationships are with service-driven concepts. If your concept falls within this category, definitely consider broker representation as part of your lead-generation strategy. Rising costs - $11,200 is the average commission brokers receive for placing franchise prospects, according to the 2007 Franchise Development Report. This is a generally acceptable budget expense that works for the majority of franchisors who understand and enjoy the rewards of utilizing brokers. But unfortunately, commission payouts are soaring with a few aggressive franchisors now "buying" broker business by paying up to $25,000 for single-unit salesâ€¦ and in isolated cases a few pay the broker a portion of the ongoing royalty stream. Unfortunately, these financial incentives can 1) create an uneven playing field with some commissioned consultants when choosing which concepts to present to their client buyers; and 2) strain franchisor acquisition costs beyond prudent business practices. It certainly can become unaffordable for retail concepts with real estate assistance and start-up costs, which are added expenses service businesses don't experience. What's more, franchisors should attend their brokers' conferences, which do pay off in additional sales, but can require travel expenses and registration fees up to $4,500. An influential consultant is angry because you blew a sale. This may be false, but perception is reality. He kills your lead flow at their national conference, advising his listening colleagues to think twice before showing your concept. Your franchisee validation dips and your brokers instantly cut you off since your hot concept is no longer so hot. The prospect pipeline for the broker network dwindles and your leads shrink 60 percent. Brokers know they're the foundation of your recruitment success, making you vulnerable to their policies, changes, and demands. Without other sales sources, you are helpless. You're at a disadvantage because you never recruited a franchisee from start to finish. A mobile service franchise recently sought my counsel, exclaiming, "We have to learn how to market and sell our own prospects, because we're headed for trouble if we don't. We've been extremely successful with brokers, but I don't like being prisoner to their prospect supply. I now must figure out how to effectively generate lead flow, follow up with initial prospects, and produce applications." Losing your control - A few sales consultants in every broker network are what I call "sales commandos," who try to bully, manipulate, mislead, or change your sales process to suit their battle plans. Their mercenary appetites for commissions may overpower any ethics they have for either the candidates or franchisors they represent. Try turning down their Discovery Day candidate and you'll face a raging bull! I experienced this a few times. Fortunately, they are a minimal faction among the professional broker community, but they need to be exposed and eliminated by their superiors for damage control. These renegades are dangerous to the franchise consultant company, the franchisor, and the prospective buyer. Broker network executives want franchisors to immediately report these wayward soldiers, who are violating their best practices and will be punished accordingly. Unchecked, they give all of us a bad name. Too many unqualified candidates - Not all brokers are equal, and unfortunately some just don't cut it as franchise recruiters. A few will waste your valuable time by sending leads that clearly don't show the money, skill sets, or characteristics you are seeking. To prevent this, clearly define your success profile to these broker "shotgunners," and return referrals that don't meet your minimum qualifications with a corresponding note. Be sure to review with the broker the candidate's shortcomings so they won't make the same mistake again. Also, beware of becoming the "throwaway franchise" some brokers use in presenting different concepts. This is a comparison practice to clearly showcase another franchise much better suited for the candidate. Brokers selfishly use this trick to finesse a sale. It's a waste of time for you and their candidate, who should only review franchises that match their criteria. Drop the broker who habitually does this and tell them why. Retail concepts struggle - Lower investment, non-food franchises can do well using brokers. 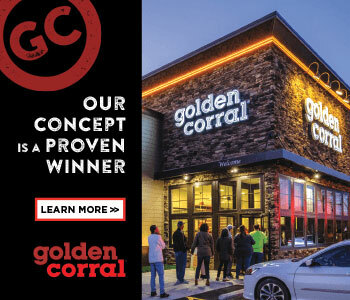 Unfortunately for higher-priced food concepts, the relationship has not proved fruitful for either the franchise or broker. Prime real estate requirements, much longer opening times, and higher investments create barriers and consulting challenges most brokers don't want to address - especially when the commissions don't match what many service franchisors can pay. It simply isn't worth the effort for most. On the brighter side, a few hot, successful food-related concepts willing to invest the extra time have educated and won over the more sophisticated brokers, who championed their causes. It's A Grind Coffee (Full disclosure: where I served as senior vice president of franchise development before joining Franchise Update Media Group), Bear Rock CafÃ©, and Robeks Juice certainly have enjoyed recruitment sales through consultants. As franchise broker systems mature and recognize they are missing out on this tremendous retail market, they will realize the rewards of representing "Main Street America" to their clients. But not in today's world. Consequently, most higher-cost retail concepts don't consider franchise consultants as a viable lead source, as voiced in a retail development forum hosted in Atlanta a few years ago. Don't be shocked if you approach a broker group to represent you and they turn you down. The best consulting networks seek franchisors with hot concepts, strong validation, earning claims, and an effective selling process. They seek credible franchises that will support their buyers' efforts in building successful businesses. You have to have your act together. If you are a young franchisor, you typically need to establish a track record before the noteworthy consultants will take you on. If you are established, you may be placed on a waiting list owing to a full inventory of concepts, or an abundance of franchises in your category. When you are up for consideration, a broker research analyst will investigate your UFOC, material, sales process, and sales experience of your recruitment personnel. They frequently will secret shop your franchise owners to ensure good franchisee satisfaction.